Have you always wanted to be a bartender? Do you enjoy interacting with people and even performing for them? If you want to learn to bartend in Naples, then Elite Bartending School is for you. Elite offers a number of services for students making Elite a great place to learn to be a bartender. Elite is a State Licensed Bartending School, regulated by the Florida Department of Education. 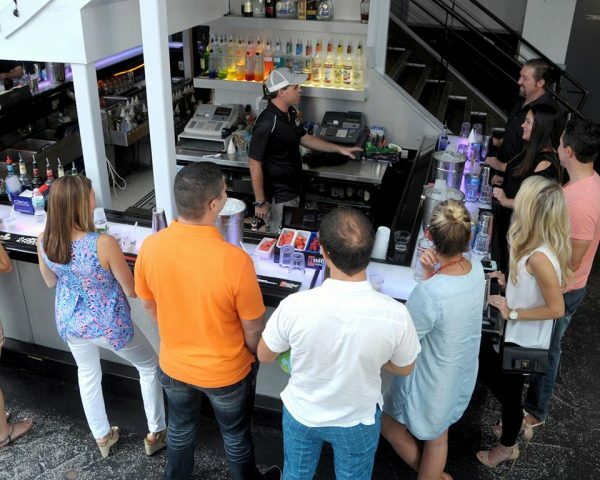 Originally established in Miami in 2007, Elite has a consistent history of training excellent licensed bartenders and placing them in jobs in the Naples area but also across the nation. Elite’s graduates leave with a lifetime membership, enabling them to return to Elite at any time for continuing education and job placement assistance. Once you choose Elite, you’ll be a member for a lifetime. Elite’s classes are offered in nearby Fort Meyers at the popular Celsius Nightclub, giving students hands-on experience in the real world, not a stuffy classroom. Elite provides small classes taught by experienced master instructors, with one-on-one training when needed. You will learn to manage a high volume bar while perfecting your mixology skills. You will even learn point of sale skills. Not only will Elite help you master basic bartending, but you will even learn flair bartending, a way to impress your customers. Let Elite help you become the bartender you’ve always wanted to be. Elite also offers students the option to practice outside of class during times when Elite’s facilities are not in use. Work with your peers to refine your knowledge and hone your skills. In addition to giving you the knowledge and skills you need to be a successful bartender, Elite offers lifetime job placement assistance, not just in southwest Florida but nationwide, as part of our lifetime membership program. Let Elite help you learn to bartend in Naples. You will create a career that you love. Contact us today for more information at (239) 900-6701 or register today through our online registration form.